Quentin Tarantino is just over a week away from unleashing “The Hateful Eight” in select 70mm theaters, and there’s certainly no one more excited about it than him. Joining the press and six of his principal cast members during a New York City press conference at the Waldorf Astoria, Tarantino was most enthusiastic while touting the movie’s 70mm roadshow release. Referencing yesterday’s big announcement from The Weinstein Company, the director confirmed the film will play in 100 theaters in 44 markets across the U.S. and Canada. Citing the release as a “herculean” effort, Tarantino assured that the roadshow presentation, which includes an overture, intermission, seven minutes of additional footage and a limited edition program, is the only way to go. A far cry from the exploitative thrills of “Django Unchained,” “The Hateful Eight” is a chamber piece Western infused with a great deal of internal mystery. Kurt Russell and Jennifer Jason Leigh are front and center as a bounty hunter and his battered prisoner, respectively, who pick up two suspicious strangers on the way to Wyoming where the prisoner is to be hanged. With a blizzard hot on their trails, the four lodge up at a local haberdashery, where four more strangers await. Locked inside with nowhere to go, Tarantino tightens the screws on his eight peculiar characters as their true motives become steadily more clear. Slowly but surely, it becomes obvious not everyone will make it out alive. In between listening to a great deal of praise from his cast (everyone agreed it had always been their dream to say a Tarantino monologue), Tarantino went into a lot detail about what he wanted to achieve with his second attempt at the Western. From the film’s roots in the horror genre to the way it plays upon the viewer’s expectation for violence, here are the five big takeaways from Tarantino’s New York City press conference. Tarantino is bummed about the police boycott, but he won’t back down. Tarantino tried something new by writing three different drafts of the script. 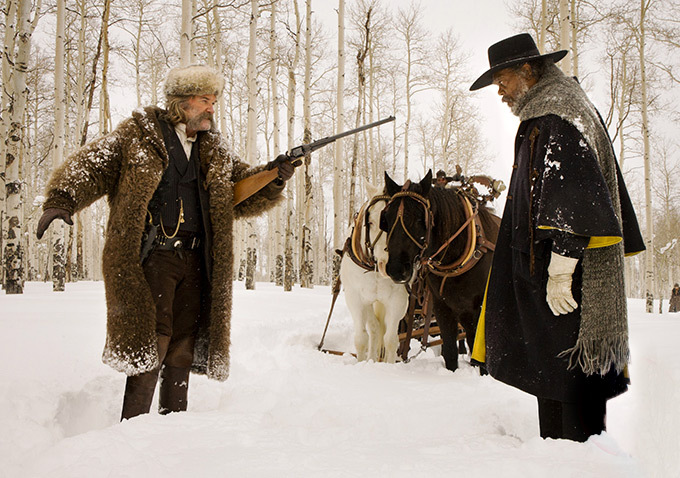 “The Hateful Eight” might be Tarantino’s first horror movie. 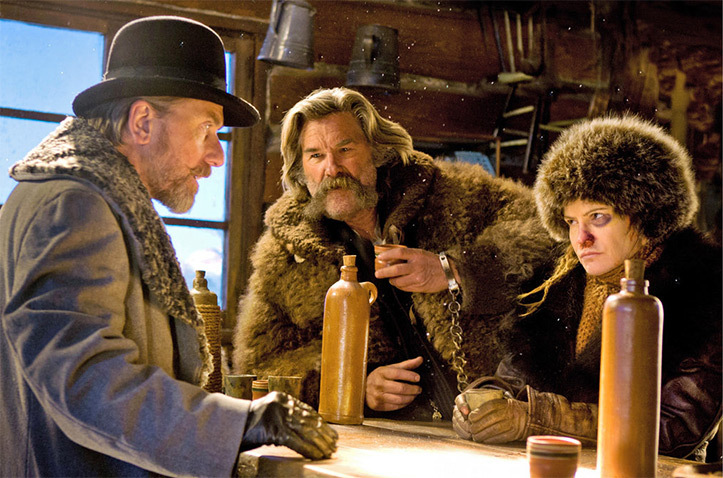 “The Hateful Eight” 70mm roadshow opens on Christmas Day, followed by a nationwide digital release on December 31.